In between designing kitchens and bathrooms and managing several projects, it’s nice to take a break to do something fun and sparkly. 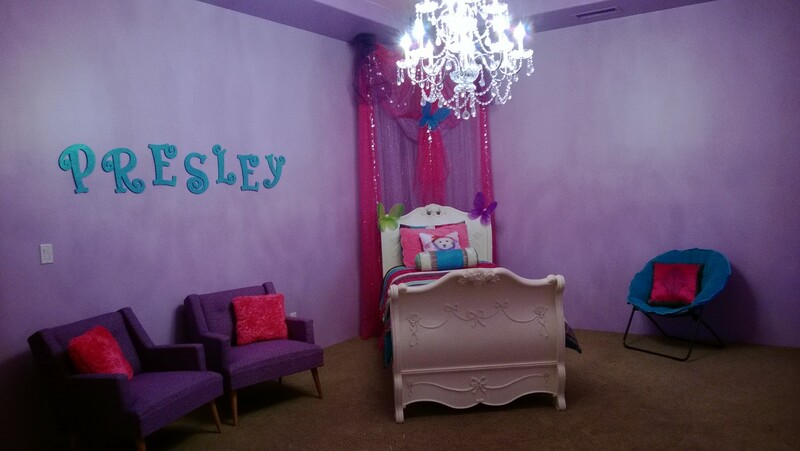 This is Presley’s room (if you can’t read the letters on the wall). 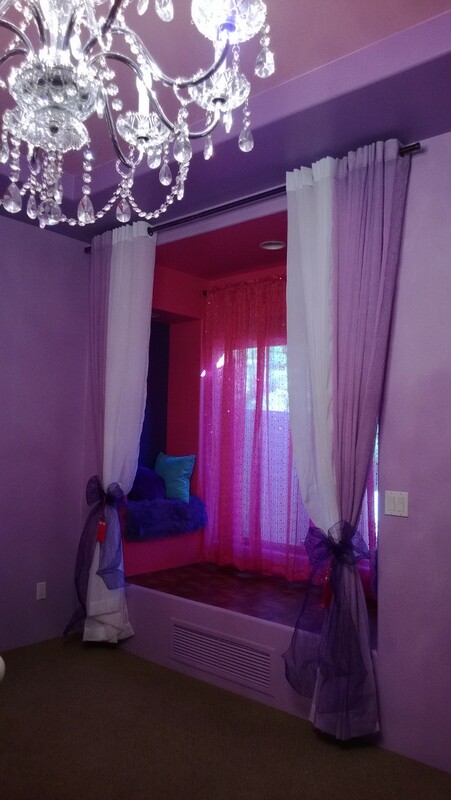 Presley is a seven year old pageant girl that uses the window seat in her room as a stage. She arranges chairs in front of the stage and asks for tickets upon entry. 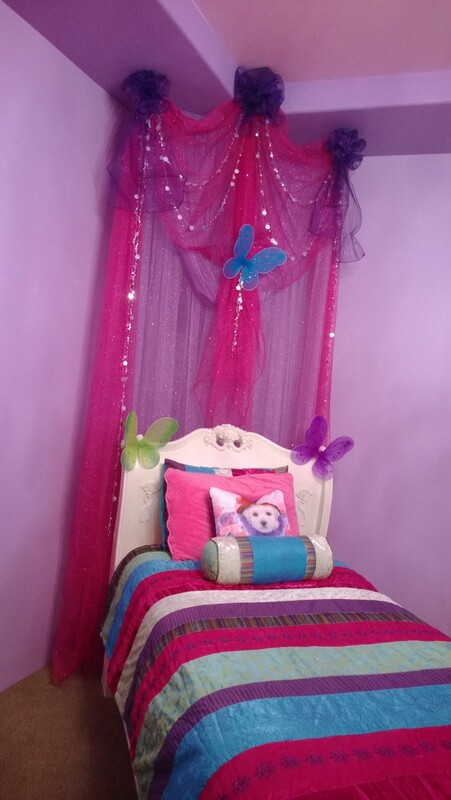 She wanted a pink and purple room with plenty of sparkles… so that’s what we did! We even installed a parquet wood floor vinyl tile for her to perform on. And don’t ignore the crystal chandelier in the foreground- you should see the fun rainbows that dance all over the walls. 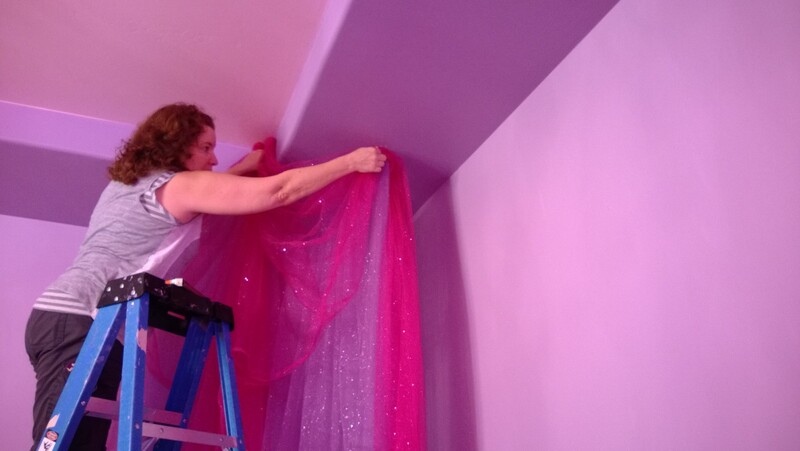 The ceiling is also covered in iridescent glitter, which adds a subtle shimmer. Gina – high up on the ladder! Here’s Gina swagging the glitter sheers that will go behind her bed. Gotta love a staple gun on an installation like this! And two people is a must- one on the ground keeping the big picture in mind and the other up top, making the small adjustments necessary for proper balance, etc. 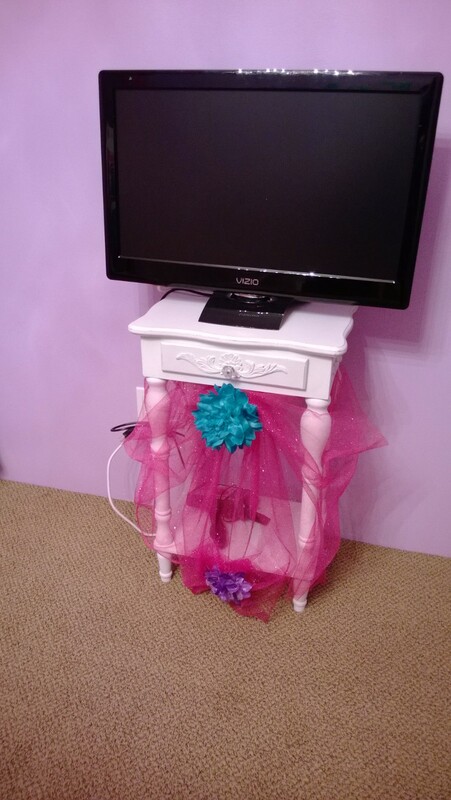 Here’s the full view of the bed with its new outfit on- LOVE IT! It’s so incredibly happy! Did I mention how sparkly it was? We were covered in glitter. It was all over the floor. I’m pretty sure I ate some.